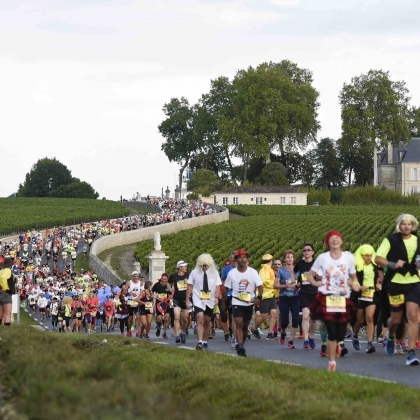 Perhaps the most famous boozy run, the Marathon du Médoc is the one for wine lovers. This laid-back race sees entrants run through the beautiful vineyards of Médoc, though taking plenty of breaks at the 23 wine tasting stops, with an oyster tasting at the 38th kilometre-mark and steak at the 39th kilometre. There’s live music with orchestras dotted throughout the course, and runners typically come in costume; add the wine and it sounds more like a party than a race. Might be one for fans of wine rather than fans of running. Good article but you missed one of the biggest booziest run : The Marathon International du Beaujolais! This massive event attracts over 17 000 runners over 3 races : 13k, half-marathon and a marathon. They all through the Beaujolais vineyards with lots of tastings throughout the race. It takes place every year on the 3rd Saturday of November, so 2 days after Beaujolais Nouveau Day held on the 3rd Thursday of November yearly. Over 55 nations are represented. You missed also the newest booziest run : the Beer lovers’ Marathon !